So i thought i would introduce my dolls. So the above picture is what he looks like now. When i got him, i brought him two tone colour eyes. Namu Head from soom doll (maybe one day i will get him a body. Soom Doll Saiph model in normal skin. I called him Hayden. 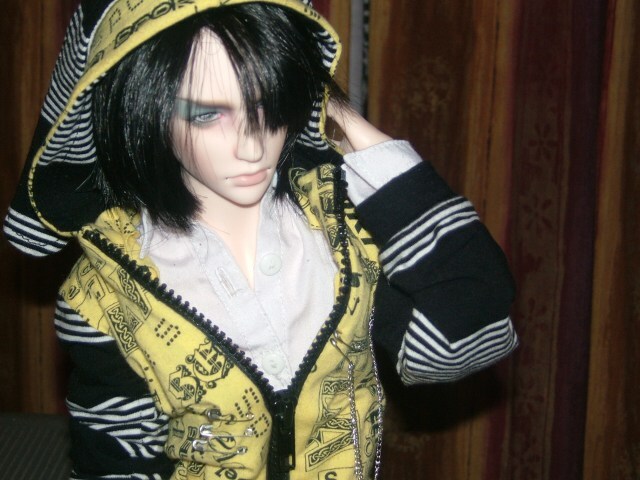 He is currently my favourite doll along with Soreen. Asleep Eidolon Dol Evan Sculpt. I haven't chosen a name for him, but i may call him Jake. He is also my last doll.